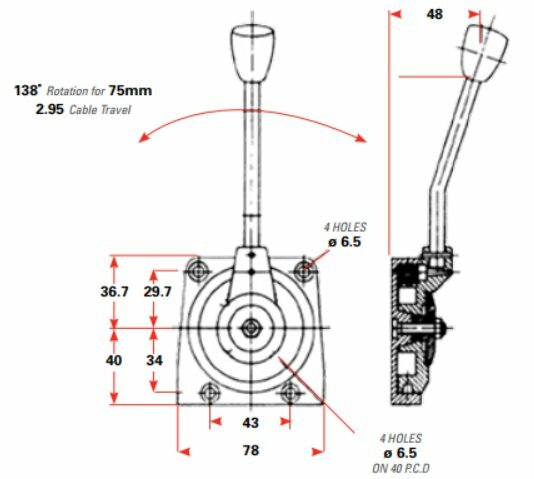 All of the foot control assemblies supplied by Control Connections Australia are engineered for efficiency and reliability, with the added guarantee that they will complement our range of control cables. Different configurations of standard throttle, clutch and brake pedals are supplied by us. We will also assemble tailor-made pedal systems for more specific applications. Whichever vehicle your business uses, or whichever vehicle you own, the right Control Connections Australia mechanical foot pedal is available, designed by the leading names in mechanical controls. Please contact us for further information, for a solution which needs more than a generic part, or for a quote.